I recently learned of the Magazine Cover Indicator. Per Wikipedia, the Magazine Cover Indicator works because it assumes that, “by the time an idea has had time to make its way to the business press, particularly a trading idea, then the idea has likely run its course.” This is an idea that I have felt to be true for a long while. I find it useful to apply that logic to fantasy sleepers, whereby once people start talking about a player being undervalued, they’re no longer undervalued because everyone is talking about how undervalued they are. The Magazine Cover Indicator can work in both directions: If writers are portending great things then it might be smart to assume the opposite, and if writers are expecting the bad times to continue, perhaps we can assume things should start looking up. Now, I’m not saying this will work in every instance–I’ll never sell Mike Trout or buy Chris Davis–but I thought it would be fun to take a look at the baseball landscape and buy into what everyone else is hating on in hopes of turning some short-term profits. Here are my favorite contrarian investments for the week. Dallas Keuchel is coming off an extremely frustrating start against the Texas Rangers. Watching the game as a Keuchel owner needing a win, I thought to myself, “Now that the Astros are leading 6-0, all he has to do is pitch five innings and not f@#& up.” That didn’t happen. It was ugly. But now that the world is trying to sell him, I say buy. His strikeouts are down, but so are his walks. His LOB% is 8% lower than it was last year, and his xFIP is almost a full run lower than his ERA at an attractive 3.64. He also still plays for the best team in baseball. If Keuchel’s able to get his game back on course, wins should start piling up for the former Cy Young winner. 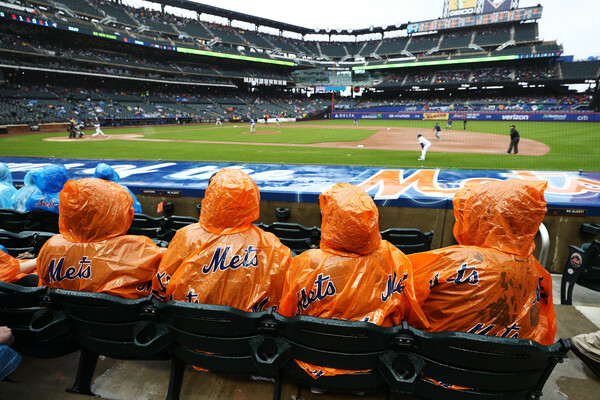 The Mets have been a laughing stock. And perhaps now that you’ve seen that I recommend buying them, I am a laughing stock too. No matter. Their offense has been carried by Brandon Nimmo and Asdrubal Cabrera. This team has lost eight of their last ten games, and not much is going well. I think that’s about to change. The player I like to lead the turn-around is, of course, Jacob deGrom. He has been phenomenal in the midst of a lot of misery. Meanwhile, Syndergaard should only miss one start, and Wheeler and Matz have actually been pretty good. Since the pitching has been solid, the turnaround will have to happen on the offensive side. And that’s where the buying opportunities lie. Since I have little faith in the soft-tissue of Yoenis Cespedes, the players that I think will lead the turnaround are Jay Bruce, Michael Conforto, and Dominic Smith. Bruce is, I think, the easiest to see turning it around. He’s 31, but he’s got more power in him than a .109 ISO. Michael Conforto’s injury scares me, but I’m hoping the talk of demotion will scare him a little. We all know he’s better than this. How long can this ghastly play persist? My wager is on not much longer. Meanwhile, Dominic Smith is getting a chance to seize the first base job for 2018. Peter Alonso is busy crushing baseballs in the minors, but the Mets have said there’s no chance he’s called up this year. I think Smith is better than people give him credit for, and as a contrarian, I’m loving both the opportunity he has this season and all the hate. Newcomb has enjoyed a lot of success this year. The 24-year old has enjoyed a bit of batted-ball luck en route to posting a 2.92 ERA after 74.0 innings. 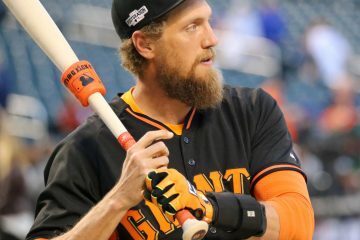 While I do think the kid is good, and would not be rushing to trade him away in a dynasty league, I think the fact that the world is falling in love with him means he’s about to get a wake-up call. The main reasons are 1) His 4.26 BB/9, 2) a .267 BABIP, and 3) a 0.61 HR/9 ratio. To some degree, it’s easy to see all these ratios catching up to him and inflating his ERA to 4.00 or 4.50. Again, I believe in Newcomb, but now might be a great time to sell. 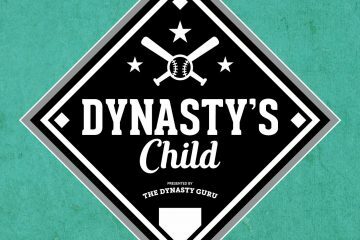 The Dynasty Guru's Triple Play: Seattle Mariners!